TopShelfGoods is more than just a curated store its a lifestyle. 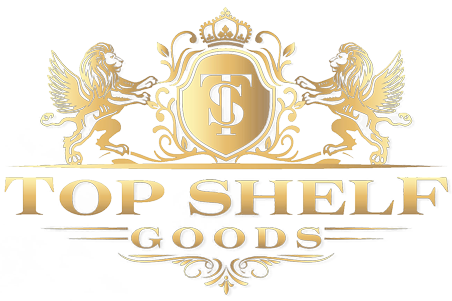 Hello my name is Justin Estrada founder of TopShelfGoods congratulations to you for visiting our online store. I'd like to tell you about myself and why I created TopShelfGoods. My co-workers out classed me in every way. They dressed professional, I did not. They had sophisticated business attire, I did not. They had style, I did not. After that first week at my new job, I knew something had to change. So I followed some classy men's fashion guys on instagram like @tomclaeren and walked over to the nearest store and purchased the latest issue of Men's Style Magazine. When I got back to my Hollywood apartment I grabbed a couple trash bags and stuffed it with all my old clothes that no longer suited the professional man I needed to be. People I didn't know would show me respect, such as random compliments from the local coffee shop. My coworkers noticed my improved stye as well and started to take me seriously, giving me more important roles within the company. And more importantly this resulted in me respecting myself more. "When you have genuine style, men want to be you and women want to be with you." I'm very passionate about helping young, adult or old men find their genuine style. I want to give you the necessary resources to impress your coworkers, colleagues, family, friends and girlfriends. TopShelfGoods will always be a curated store; meaning I hand pick, select, organize and look after the store products ensure you get only top shelf quality. TopShelfGoods will always have classic products; meaning we will only stock our shelves with timeless products that will always look stylish regardless of the newest trends. There is a reason why everyone respects a man in a suit and tie, it's because it's a classic look. I'm going to put my entire heart into making TopShelfGoods into the curated mens luxury store that you deserve so stay tuned for some amazing product releases and new blog posts. My email list is where I'm going to deliver all the VIP discounts and FREE, yes you heard me right. FREE products not available anywhere else.